This has been the very first product from The Saem that I tried and I must say, because of that the brand bumped up quite a bit on my "to watch" radar for Kbeauty items. 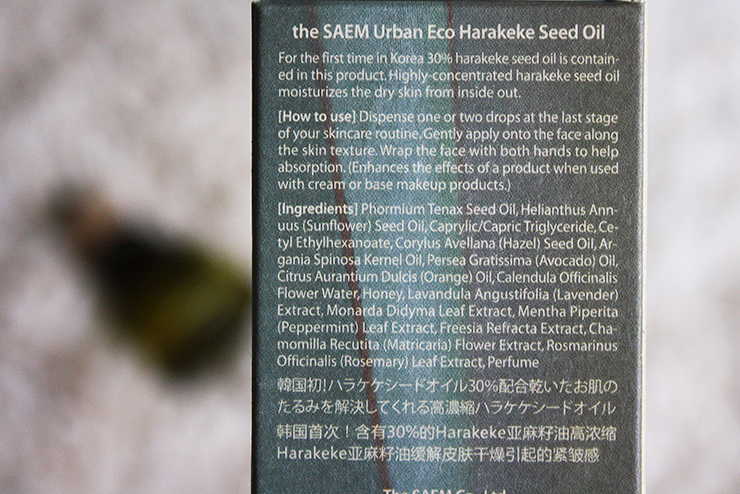 Not only is the packaging beautiful, but the actual facial oil is also one of the best I have ever tried. I have requested this from our one and only Bae after my friend Moi Sanom kept talking to me about it and let me try it out when visiting her at home and it was instant love so I knew: I had to share this with you. The packaging is simple yet really highlights the main ingredient in my opinion; it does look quite rustic and down to earth in comparison to many flashy or cutesy packaging. 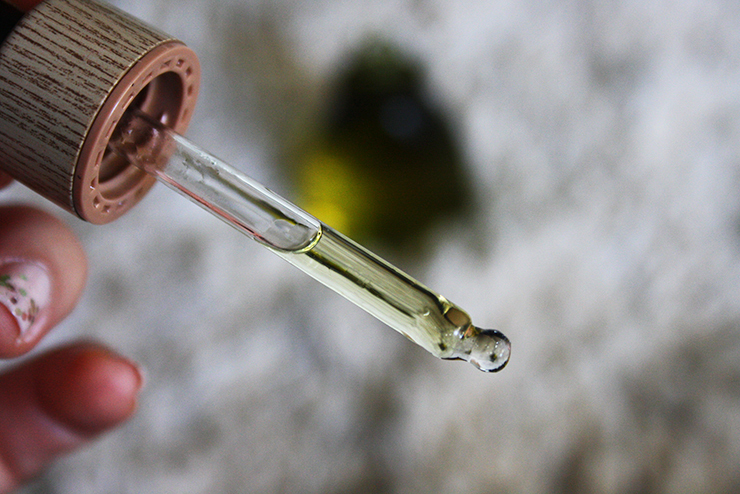 The glass jar has a beautiful color that makes the oil almost glowing when sitting on your bathroom counter. I also really like the little "wooden" details on the cap of the dropper. Although it does look quite small, it last SO LONG. I had this for 1-2 months and as you can see, I only used up a little amount so far. 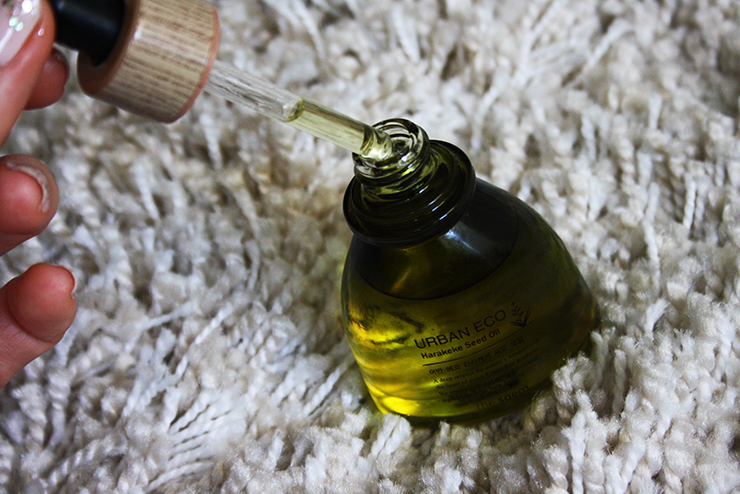 Since the packaging comes with a sturdy glass dropper, it is very easy to get the right amount of product out. The oil is more on the thicker end and I personally always apply it at the very last step of my PM routine with wet hands. It doesn't feel as heavy mixed with a bit of water and also helps a great deal in getting my skin to absorb the product. I only use this when I have enough time because it does take some time to absorb properly into the skin; I'd say 30 minutes to up to one hour before there is no feeling of the oil left on the skin. That being said, the oil really feels rich and not greasy or oily at all. I can almost hear my skin sighing with relief when it is in desperate need of some extra moisture. Because of that, I think skin types that lean towards dry or very dry skin will benefit from this the most. I cannot (and don't need to) use this product daily but rather use it once or twice a week when I feel that my skin needs some additional pampering. My skin feels super smooth even the next day and also more plump than when I don't use this. I had no negative reaction to this at all and also quite enjoy the scent which is kind of earthy and not perfume-y at all. If you don't have any sensitives against one of the oils or extracts in this product, I'd highly recommend it as there are barely any acne triggers or irritants inside this product! 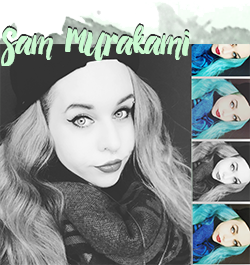 I do think that this product will be of excellent service especially in the cold and harsh winter time and I will probably reach for it a lot more than when I had to during the very hot (and unexpected) German summer this year. 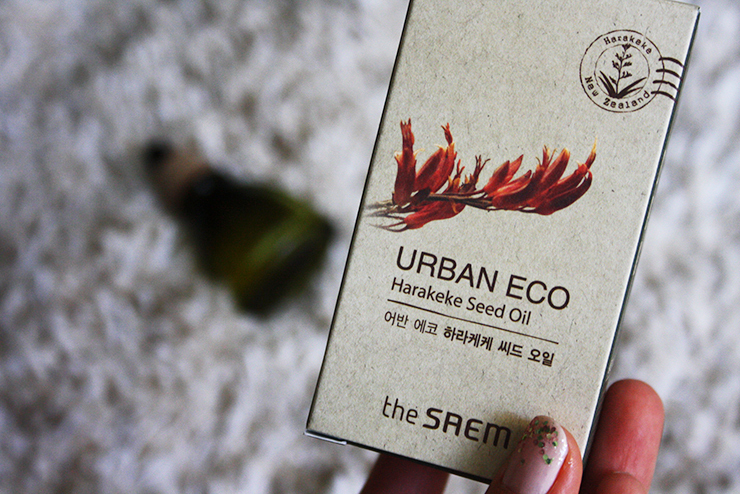 The Saem Urban Eco Harakeke Seed Oil is currently on sale at Jolse for 22,86$ and also available on Koreadepart, but because of the expensive shipping to Germany Jolse has been the best deal for me. 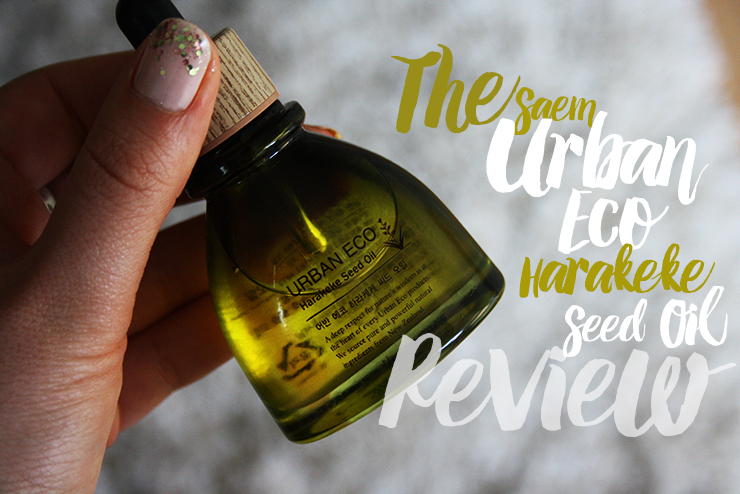 Have you tried this or other facial oils? 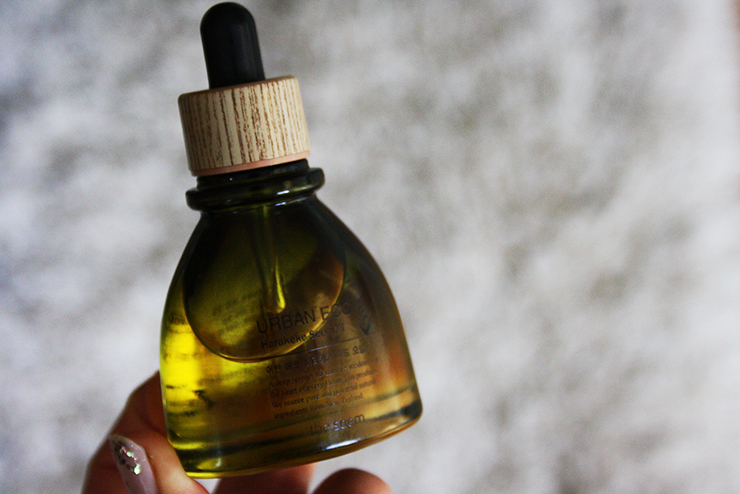 I absolutely love facial oils for some additional pampering, especially when it starts getting colder soon. If you have any recommendations to share, I'd love to hear about it!